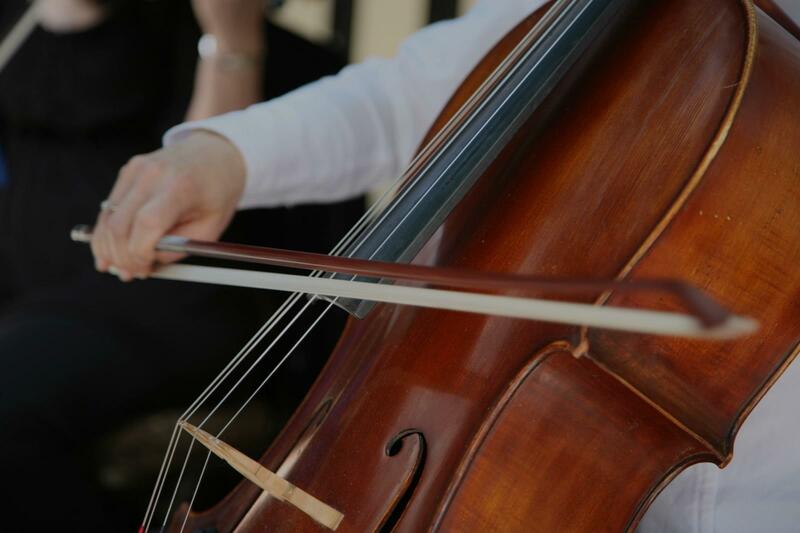 Find the perfect teacher or instructor in West Anaheim for private cello lessons in your home or in their studio. Experienced cello teacher of 30 years available for eager students of all experience levels and ages. I structure my lessons so students learn what they want to learn, while also building a strong foundation of classical skills. I welcome adult beginners and provide many playing opportunities throughout the year for my students. Cello lessons in my studio, at your home, or on-line. I'm an easy going, very experienced, highly qualified teacher with a Doctoral degree in Music Performance. I help my students with their individual goals, whether learning for fun or for career. Variety of Methods and styles: Suzuki, Traditional, Royal Conservatory, non-classical, improvisation. Beginner level Cello students. "Jessica is definitely the best!" Los Angeles, CA teacher: Jessica G.
"Marta is a great Cello teacher! She is very flexible, patient, kind, and great at adjusting the lessons to whatever kind of music you want learn to play. She made my experience as an adult beginner a great one. Btw, did I mention she knows a lot about multiple(!) instruments." Los Angeles, CA teacher: Marta B. "Jessica is an excellent instructor! She really has patience with our 7 year old and makes things easy to understand." hat you need, when you need it. He is affable and easy to learn from. As if that isn't enough, he is - hands down - an excellent musician. He is a pioneer, willing to stretch to use technology to make things work for his students. Recently we managed a Bossa duet (guitar and cello) via Skype. He is exceptional and has my highest recommendation." "No words can express how good she is at teaching cello"
Los Angeles, CA teacher: John R.
"My lesson with Jared held great communication, positive feed back when I made a mistake, and helpful corrections. Awesome!" "Great teacher!! We are already seeing tons of progress. Easy to work with and great with young adults." oing & fun teacher. He's also very patient, it's perfect for a beginner." If you're already a solid drummer using a single bass drum kit, double bass can be a great way to add more punch to your sound, and it's not just for the metal guys. The big, booming sounds of double bass drums are sonic staples in the world of heavy metal and punk, but did you know the technique actually originated in the jazz music of the 1940s and 50s? As you learn more about how to play double bass drums, you'll find the technique and its history have a lot to offer beyond just hard rock.